It starts with the prom proposal, then you pick your dress and figure out your prom group. One of the most magical nights of Senior Year is right around the corner and you realize you’ve forgotten one of the biggest parts of your look: your HAIR! Whether you’re planning things out in advance or found this article the day of, we’ve got you covered. If you’re getting your hair done at a salon or DIY-ing it at home, you need some inspiration to drive your style. Ditch The Updo! This Year We’re All About The Tousled, Undone Look! It started when you found yourself re-styling your Barbie doll’s hair. Then you started playing with your own hair, trying new styles and playing with color. Maybe some friends of yours asked you to style their hair. They loved what you did and you loved doing it. It’s no surprise you’re now considering going to cosmetology school to become a hair stylist. So you’ve decided to become a cosmetologist. Good for you! It’s an exciting field that combines creativity, customer service, style and income! So how do you choose the right beauty school for you? The experts at Aveda Institute Portland, with Aveda campuses in Portland OR and Vancouver WA, have put together this handy checklist of things to consider when you compare programs. 1. Decide which area(s) interest you most. You might want to focus exclusively on being a hair stylist, or you may want to train in cosmetology, esthiology, nails or all of the above. If you follow Shannon on her Instagram ( @ShannonslovelyLocks) then you know that this up and coming stylist LOVES a good color transformation! Shannon is currently in our salon life phase and only has a few more months before she is out in the world of beauty. 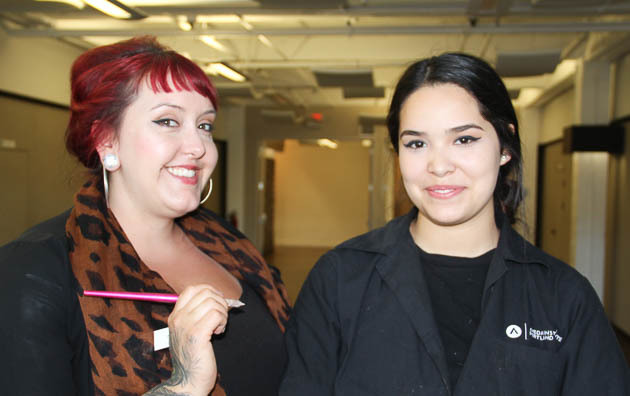 We caught up with her to find out a little more about her journey so far at the Aveda Institute Portland! Brows are currently all the rage in the world of beauty. While we might have plucked them to a nub in the 90’s, the new trend is a significantly easier and less painful look. Say hello to big, full brows! 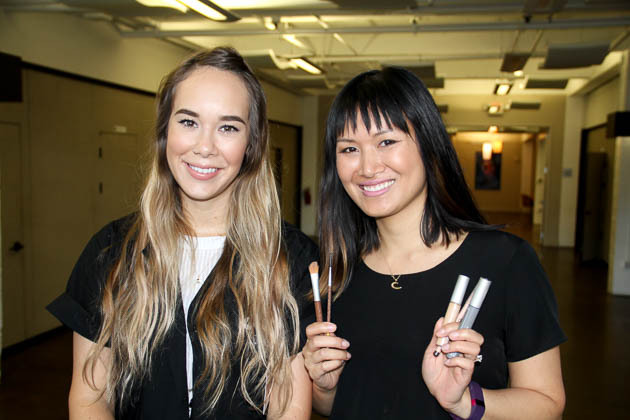 We caught up with Instructor Beatrice to find out how to get the look! We are knee-deep in summer and getting ready for summer break! That means one thing....VACATION!!! After the winter, we have had in the PNW we are welcoming summer excursions with open arms! We want to help get YOU vaycay ready so for the month of July you can come on in and get 3 travel size Aveda products for just $20!!! This is an amazing mix-&-match deal that you don't want to miss. We caught up with some students and staff to find out their travel essentials to give you a little inspo- check it out! There seems to be never ending tips and tricks on how to get a killer winged eye-liner. Mastering the perfect flick may be time consuming but it’s a job well worth it because nothing makes the eyes look more feminine. We caught up with Instructor Amanda, the QUEEN of the cat-eye, to find how to get this staple look in a few simple steps! Silver hair ladies know that nothing is trickier or more time consuming then covering up their sparklers. And while some may choose to embrace their natural tinsel others go through a lengthy process of covering up. Many reach for boxed dye (YIKES) and others spend upwards of $60+ every 3-4 weeks to maintain in-salon! If this describes YOU then look no further! The Team at the Aveda Institute Portland is armed and ready to give you full coverage at budget prices!! Summer has come late in PDX but that's no reason not to get summer ready now! As every true Portland-er knows you have to be a ready as moment to catch the sun as it comes. One of our go-to products is Aveda Dry Shampoo! This little powder is the perfect trick for summer hair that has gotten oily from playing in the sun. We caught up with uber cute Assistant Manager Lexie to find how to use this cult fave in just three easy steps!